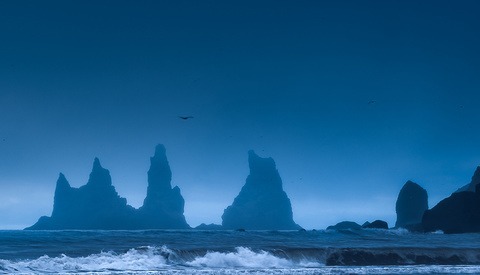 Iceland is still one of the most popular destinations for landscape photography, and here, you can see why. However, remember the inner journey is the most important! 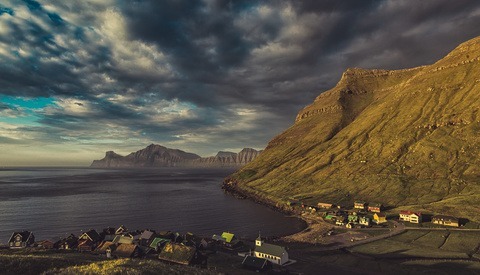 When it comes to landscape photography, few countries in the world are as popular as Iceland and for good reasons. Epic waterfalls, black sand beaches, majestic mountains, basalt rocks, glaciers, ice caves, volcanoes, lava fields, sea stacks, valleys, geysers, and the northern lights are just a small selection of what Iceland has to offer. Whether you are a photography hunter or just want to experience how the Earth must have been when it was made, Iceland is the place to go. In the above video, I have collected around 40 more or less known locations from the land of ice and fire and put them into a short video presentation. However, I highly encourage you to look beyond this presentation when you go. There is so much more to discover, and it might not be what you think it is. The most important part of any outer journey is still the inner journey. You might be inspired by outer landscapes, but after my first tour through Iceland, I was a changed person. I knew what I wanted and that was to pursue landscape photography as more than a hobby. You might not specifically want to pursue landscape photography, but you might get smarter with yourself or just need something to take your mind off the hectic everyday life. Whatever it is, Iceland helped me. New Zealand went through the same stuff that Iceland is going through. After the Lord of the rings movies, tourism boomed. And some spots are very crowded, like the two glaciers, Lake Tekapo etc... while most of the backcountry is still lonely and beautiful. A great guidebook came out a few years ago, NZ frenzy, detailing secret spots, avoiding the crowds. Unfortunately it became so popular it wasn't so secret anymore. Elia used it for one of the spots that didn't make it in the first tutorial. 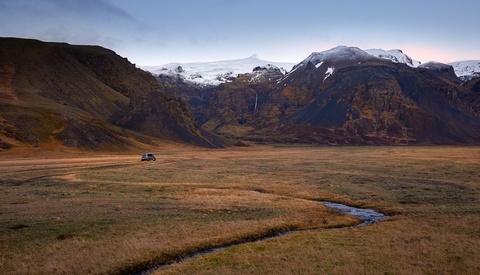 I suspect a bounty of «secret spots» will also be published for Iceland. Before a new trendy island gets the spotlight. There is one in Australia that's already quite trendy, Kangaroo Island. The real gems are Tasmania and Lord Howe Island though, but shhhhh. Hehe, yeah it's all just a matter of time. I think just general awareness of ones behavior in nature is the most important. Thanks for this. I’m planning a circumnavigation of Iceland by cycle and throughout the journey I plan to do a lot of photography and video. Your article is greatly appreciated, cheers! A one-wheeler haha that’s awesome!